In case you already received the Anniversary Update (you should consider yourself lucky, because not everyone got it that early), and you’re not satisfied with it, you probably want to go back to a good old 1511 version. 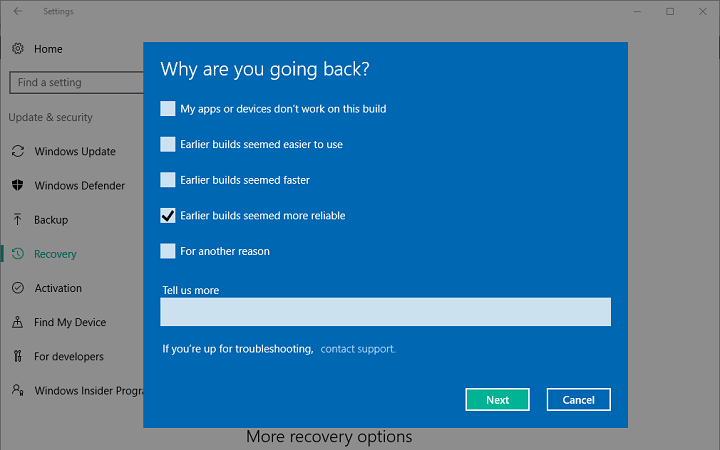 In that case, not everything is lost, because Windows 10 actually offers the option to roll back to the previous build, and you have every right to use it. Before you decide to remove the Anniversary Update from your computer, we advise you to stick around a little bit longer, because the update is still young, and it offers many great features, so you might actually get to like it eventually. However, even if you strongly decided to leave the Anniversary Update, you can always bring it back by using ISO files. Once the roll back is finished, you’ll be at Windows 10 version 1511 once again. 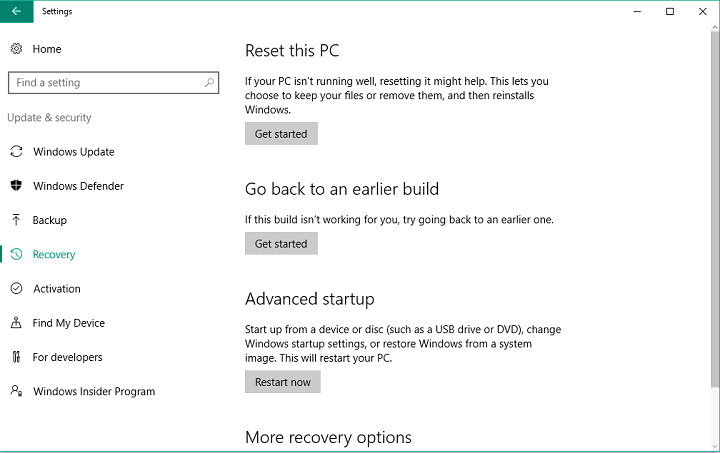 This was the simplest method to go back to the previous Windows 10 version, but if you, for some reason, aren’t able to perform it, or simply like doing things the harder way, we know one more way to get rid of the Anniversary Update. In case the Anniversary Update actually caused some problems to you, like issues with booting, you probably want to revert to the previous version, just to be able to use your computer. So, we’ll show you how to remove the Anniversary Update if you’re not able to boot to Desktop, using the Advanced Startup. However, to be able to revert back to Windows 10 version 1511, you need to have a bootable media with it. So, if you already created a bootable media using Microsoft’s November Update ISO files, you won’t have any problems getting rid of the Anniversary Update. On the other hand, if you don’t have a bootable media with Windows 10 version 1511, you will be forced to stick with the Anniversary Update, which could be very unpleasant if it causes problems to your computer. Clock on Go back to the previous build, and the process should begin. There you go, now you know how to delete the Anniversary Update, even if you’re not able to boot to your computer. As we said, in case you want to go back to the Anniversary Update, you need to create a new bootable image, and install it manually. If you want to find more about that, check out this article. 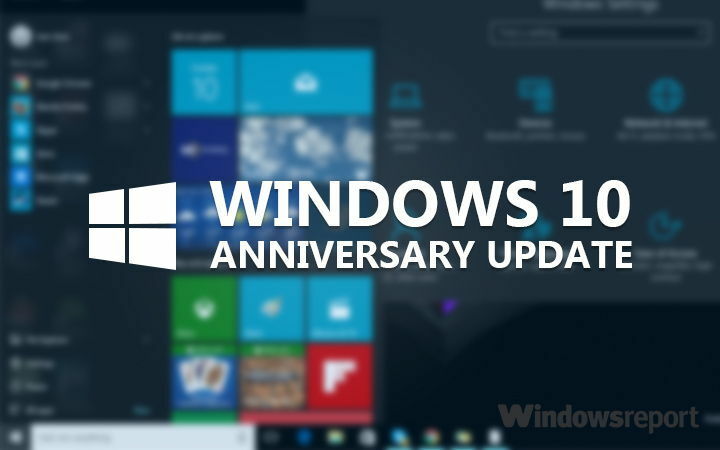 Let us know in the comments if you have any questions, and feel free to tell us the reason why you want to downgrade your system to Windows 10 version 1511.